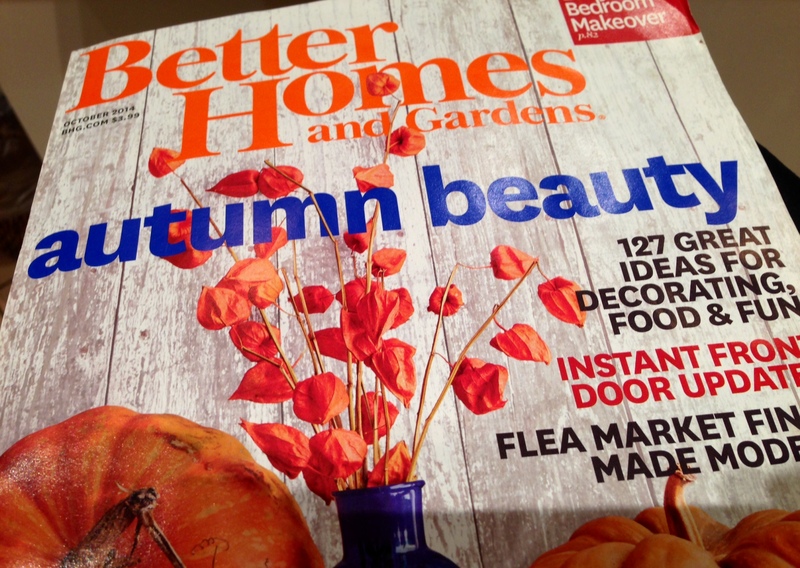 I’m still talking about Autumn, it’s Thanksgiving First! I know the halls are all decked in every store with snowflakes and Christmas music, but I stand firm in celebrating the holidays in order! 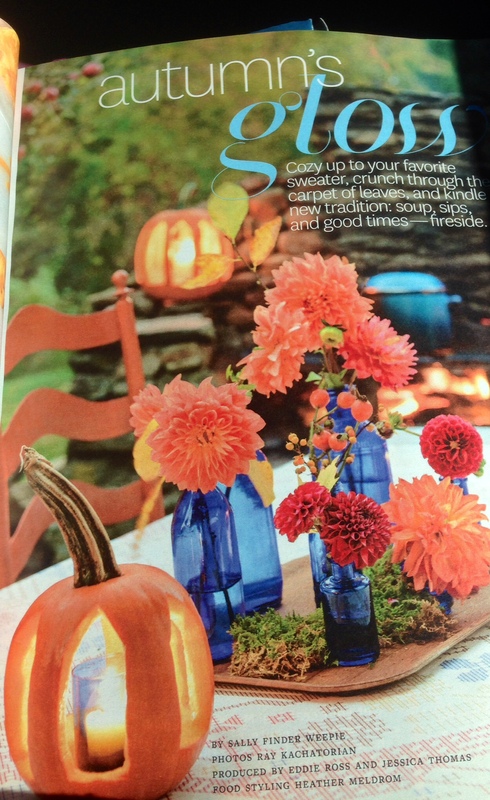 That plus I’m still getting through my stack of fall themed, pumpkin covered magazines. 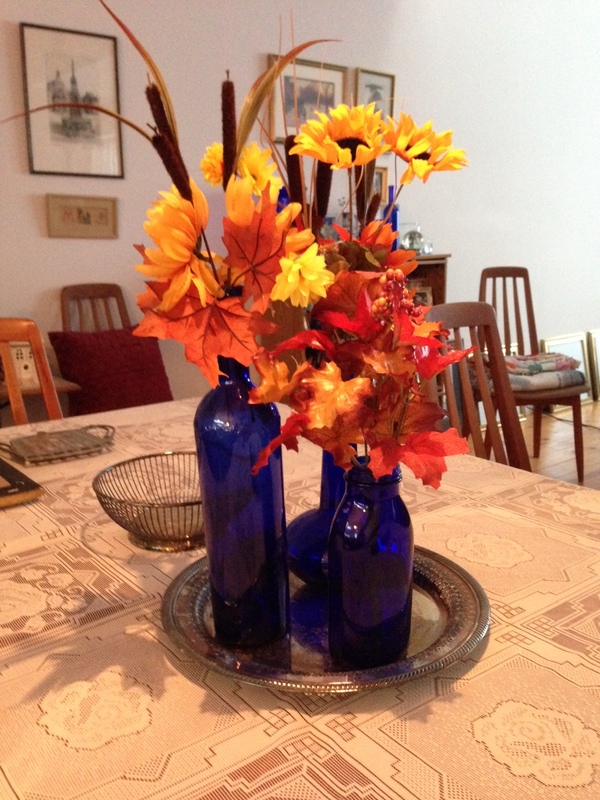 I sent a quick text to my sister including this pic because she collects blue glass. 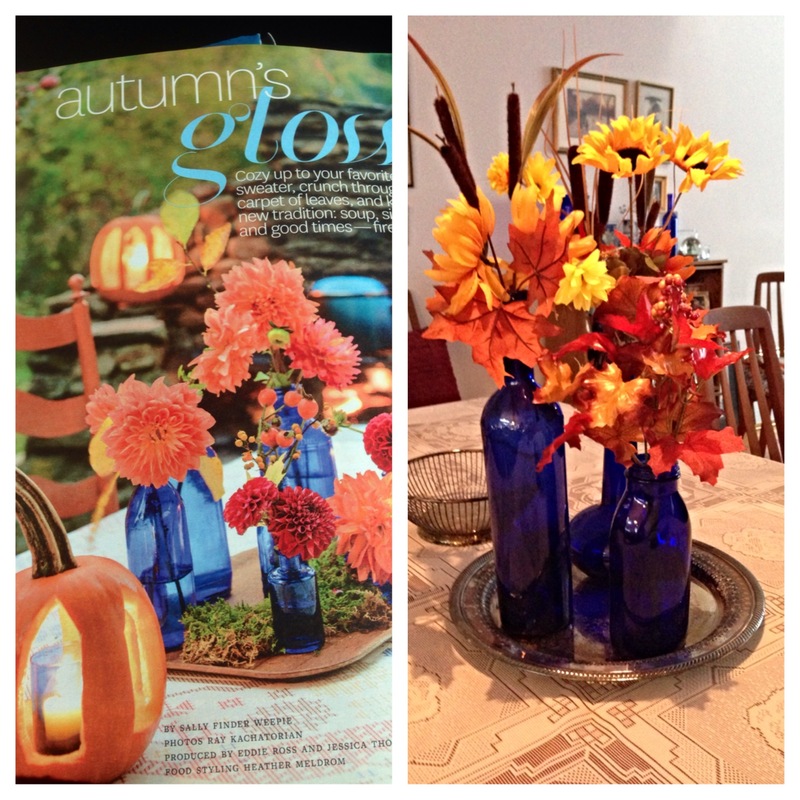 I thought it was a great way to incorporate fall colors with a blue glass collection. She tried it out and sent me this picture back.